There are two phases to the stress response: fast and slow. The fast response is termed “fight-or-flight” and was first described by Walter Cannon in the early 1900s. This response is the immediate bodily reaction in response to a perceived threat, which physiologically optimizes the animal, or human, to respond to a threat by standing its ground or averting the threat. When the fight-or-flight response is engaged, the sympathetic nervous system increases breathing, heart rate, and blood pressure. Additionally, there is increased blood flow to the muscles and decreased flow to organs that perform functions that would not contribute to a success in either fighting or fleeing—organs such as your stomach. Because the main job of your stomach is digestion, maintaining functionality won’t provide you with any type of advantage in a stressful situation. Digestion is a timely process and processing whatever may be in your stomach at the time of the challenge will not lead to great energy availability; your body will tap into its stored energy instead. The withdrawal of blood flow to your stomach is responsible for the fluttery or slightly nauseous feeling you may have in your stomach during times of emotional stress. The slow aspect of the stress response may come along during times of sustained stress—if you have been anticipating a final exam over the course of a few weeks or you are working at a stressful job. This chronic stress will not necessarily give you the feeling of butterflies in your stomach, but physiological changes can alter the function of your gastrointestinal tract and produce undesirable symptoms. Notable conditions that link stress and GI distress are functional GI disorders, such as functional dyspepsia or irritable bowel syndrome. Stressors can cause your stomach so empty more slowly, leaving one feeling bloated or nauseous. 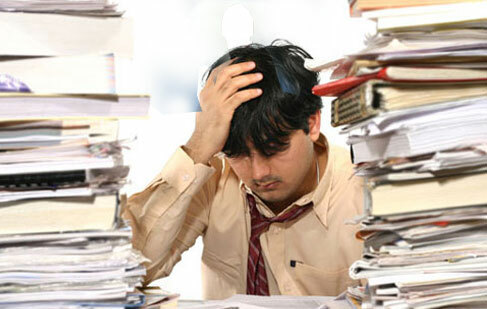 Stress may also lead to constipation or diarrhea, with person to person variability. Interestingly, people that succumb to these conditions are not only more stressed that the average person, they perceive stress differently than other people—they get more stressed out when exposed to the same situation as people that are not afflicted with a functional GI disorder. This is overwhelming evidence that stress is a major contributor to functional GI disorders. In my previous post, I briefly talked about direct connections in your brain between regions that regulate emotional and stress responses (amygdala, stria terminalis, and hypothalamus) and a region for the major parasympathetic regulation of your gut (located in the brainstem). While it’s hard to say how increased output of these emotional stressors is acting on your gut, it is likely that connections between these brain regions may be hyperactive or altered which would impact GI function. Even though the mechanism is unknown, it’s likely that stress and the stress circuiting of your nervous system may be responsible for the “gut-wrenching” feelings we all experience. Thanks for this. It’s very interesting. The Greeks named the queasy feeling one has in one’s midsection when viewing blood or a scene that provokes emotion “splagnidzomai” because they associated the response with the liver! ← You Can Get Involved!